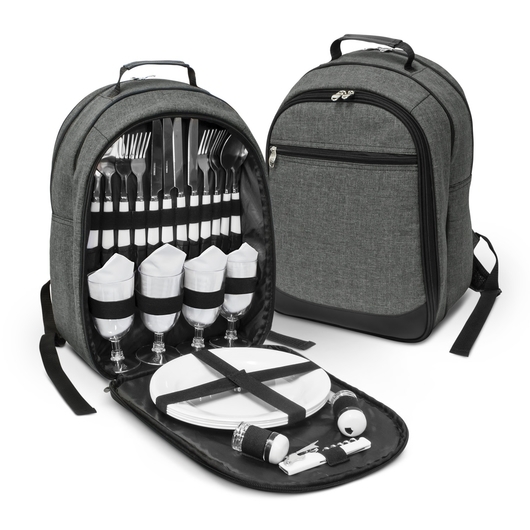 Enjoy a romantic with that special someone or have fun with friends using these backpacks! 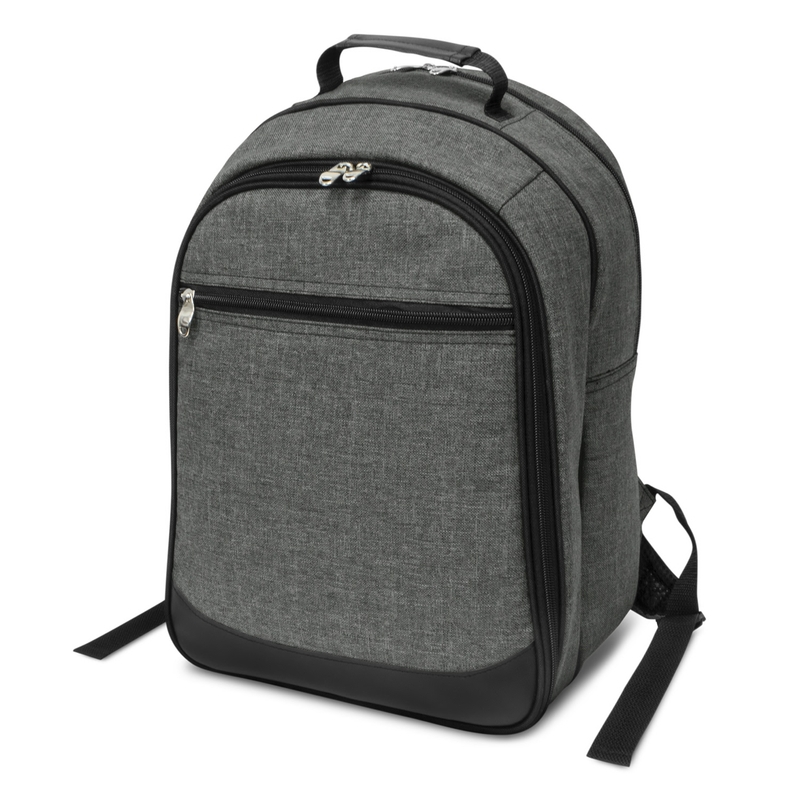 Made from poly-canvas that has been woven with different coloured fibres to create a very fashionable "heather style" two tone fabric. 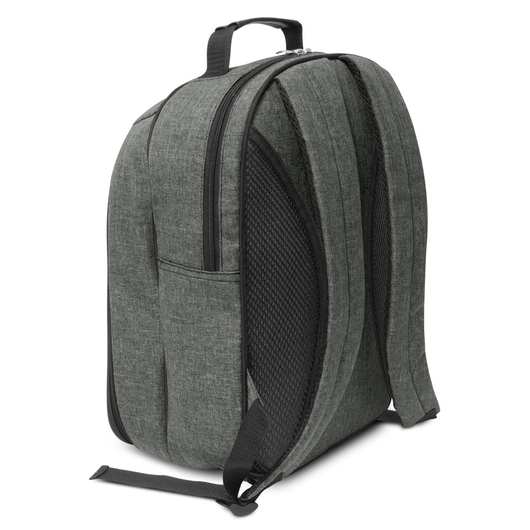 It has a large zippered cooler compartment at the front which is lined with thick PE foam insulation encased in a waterproof PEVA inner liner. 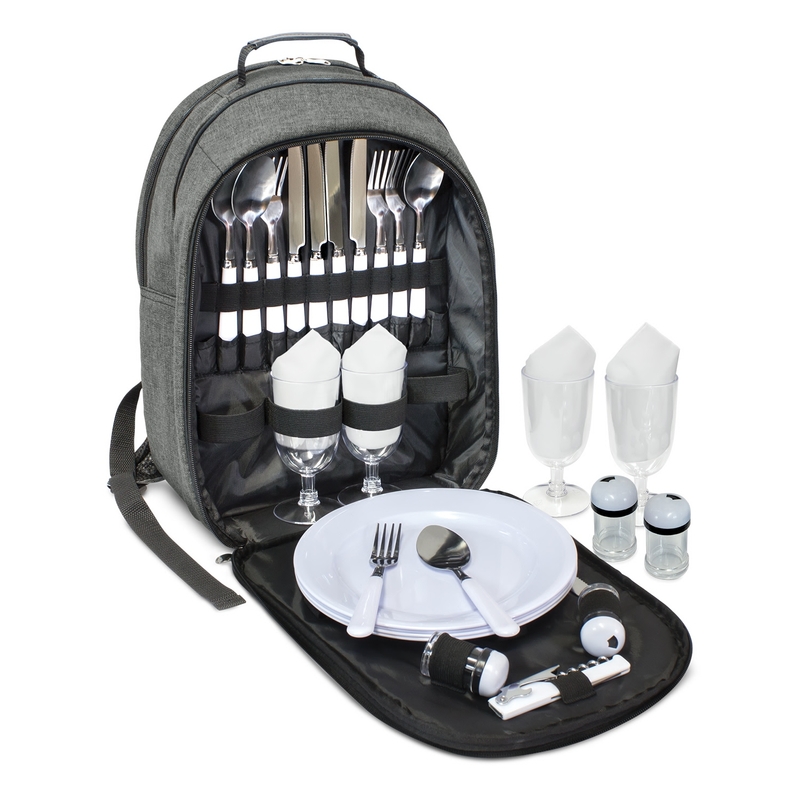 The rear compartment has a zip around closure that allows it to open out to 90 degrees revealing plates, cutlery, napkins and glasses for four people. There is also a chopping board, a serrated knife, a wine waiters knife and salt and pepper shakers. Other features include an external zippered pocket on the back, a padded front for comfortable carrying, adjustable shoulder straps and a carry handle.